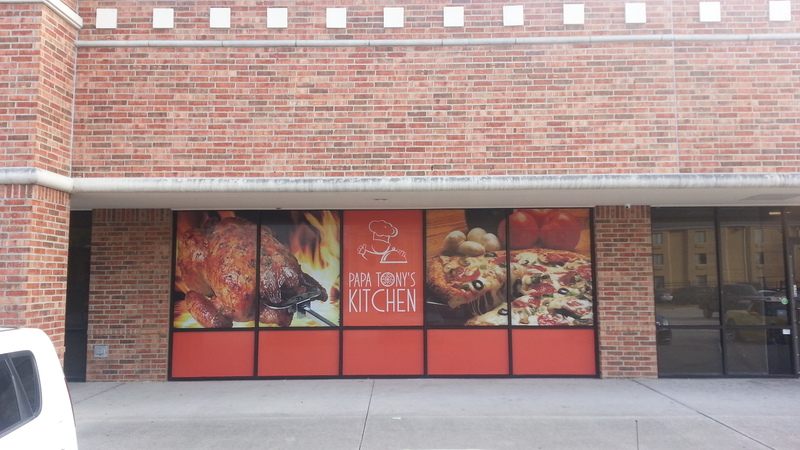 Window graphics are getting increasingly popular among businesses to promote their visibility and sales. Window graphics are one of the most economical methods of flooding more walk-ins to your business. People could simply pass by an office or store with blank glasses or vinyl cut letters without paying attention, but Perforated-vinyl Window Graphics are the attention grabber 24/7 advertisement tool for your business which no one could pass from without having a second look on the sharp graphics and eye-catching design that Idea Graphic Design provides. If you want to make a first impression the first thing to be seen and remembered by your customer ,or even prospective customers, is the outside appearance. So team up with Idea Graphic Design to create window artworks that impress anyone who sees them. we are here to create window graphics that sets your business apart and help you be remembered. 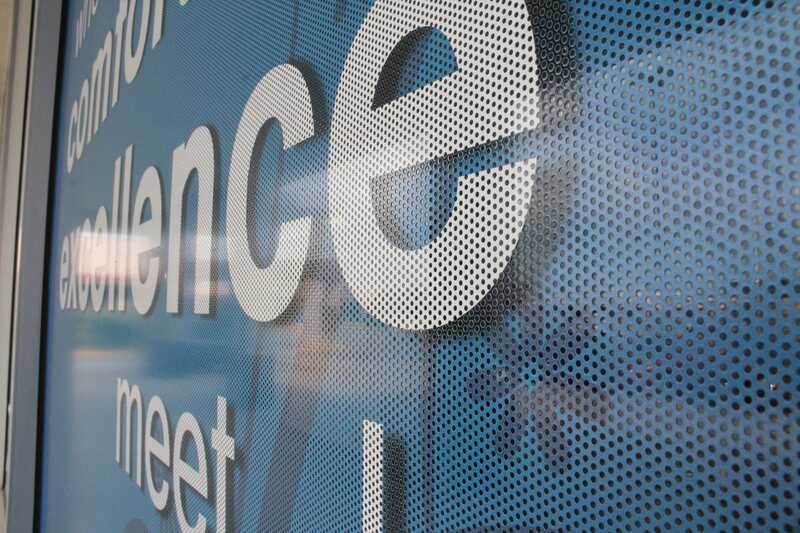 We produce Window Graphics in almost any size and shape imaginable! We can help you design professional window graphics that can print in high quality and high resolution. 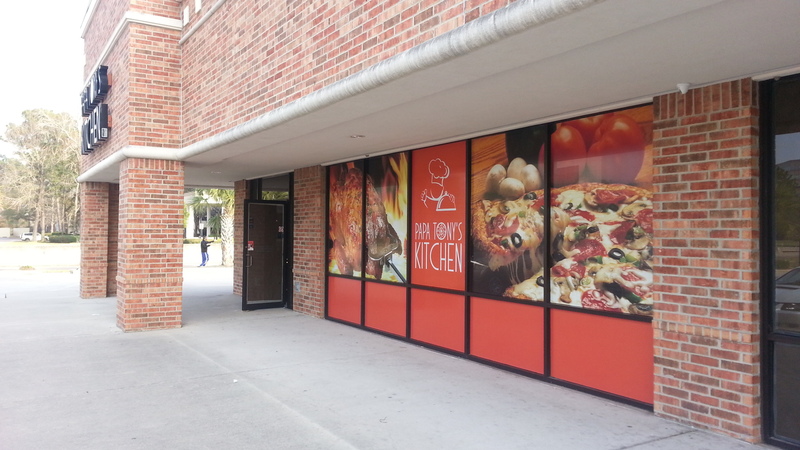 Papa Tony’s Kitchen New face-lift ! 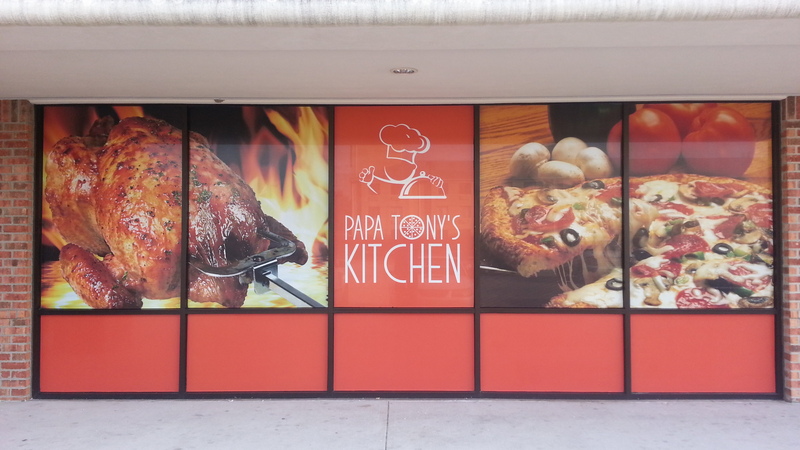 Papa Tony’s Kitchen looks great! Previous post What is Perforated vinyl (Window perf)?